The Lost Angel, 339 Battersea Park Road, London. Happy Hour all night! Psyche, soul and rock & roll at this alternative nightlife pub, with clips showing from cult 60s TV/Film www.myspace.com/goldenfleecenottingham Free entry! The bride in a leafy dress to match the medieval oak leaf wall panels. Tables named after record labels. The groom tore off his mod tie and jumped into Northern Soul dancing with his Mod mates. It was FAB. Can we be in your gang? 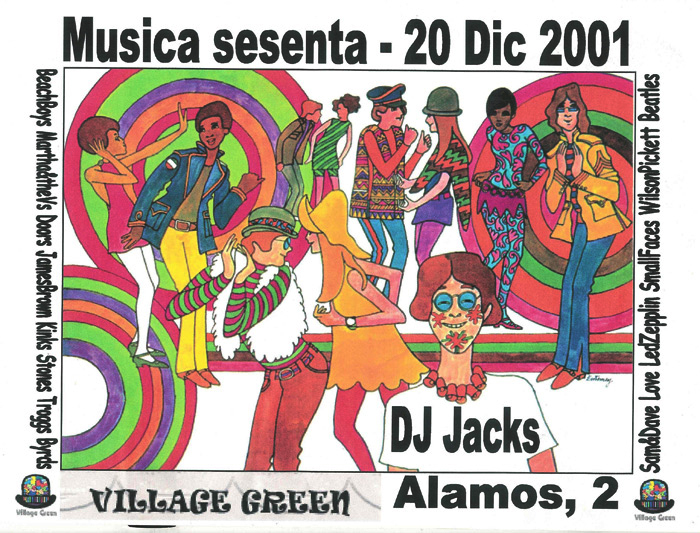 New Amen Corner, Fab 4, The Animals & friends and .......... DJ S.P.A.M! playing the best in 60s music. Free! Monthly residency in this back street club off Bridlesmith Gate.